This one has a unexpected twist. 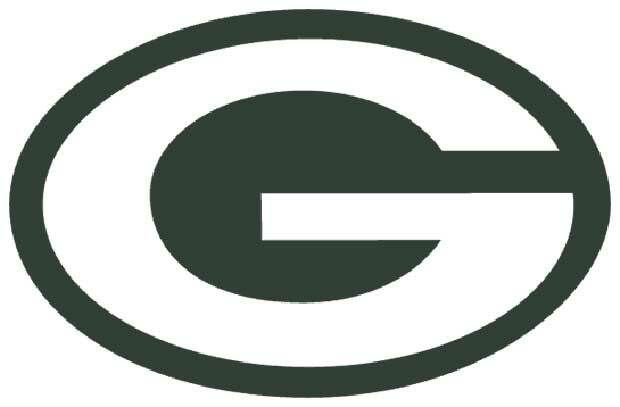 Think the "G" stands for Green Bay? Oh, no. Logic doesn't rule in Northern Wisconsin. Instead, George Braisher (equipment manager turned one-time graphic designer) wanted his oval letter to stand for greatness. This was the first, and only, Packer logo to appear on a team helmet. And, the general look is trademark by the Pack too. That means that when you see it on the likes of University of Georgia Bulldag equipment, the NFL team has granted permission.